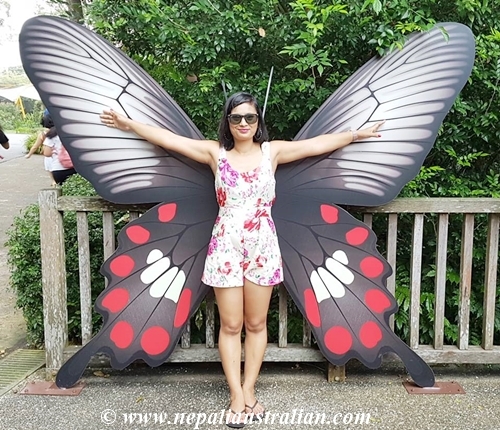 When we went to Singapore for holiday, we wanted Chhori to have lots of fun so Singapore zoo was on the top of our to-do list. Since we travel as a family now, the way we do things is very different compared to when we used to travel as a couple. 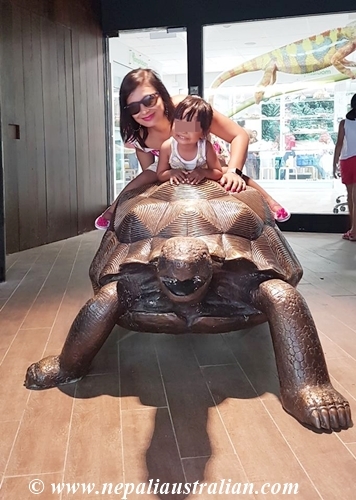 Now there are a lot less adventurous stuffs and more baby friendly activities and so the zoo was on top of the list for us in Singapore. 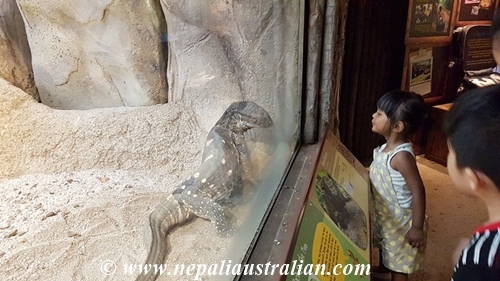 Chhori had enjoyed the Dubbo Zoo and Nepal Zoo so much that we knew that the zoo would be a must visit destination for us. 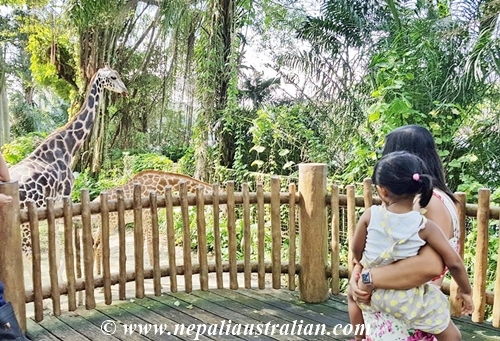 The Singapore Zoo, formerly known as the Singapore Zoological Gardens and commonly known locally as the Mandai Zoo, occupies 28 hectares (69 acres) on the margins of Upper Seletar Reservoir within Singapore’s heavily forested central catchment area. 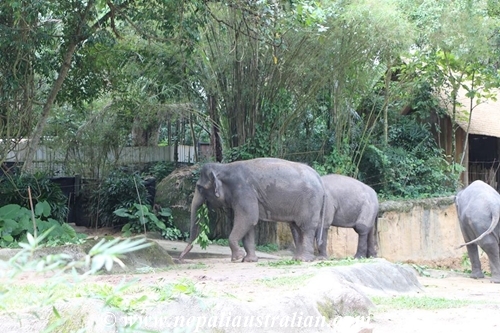 Singapore Zoo is home to many exotic and endangered species. 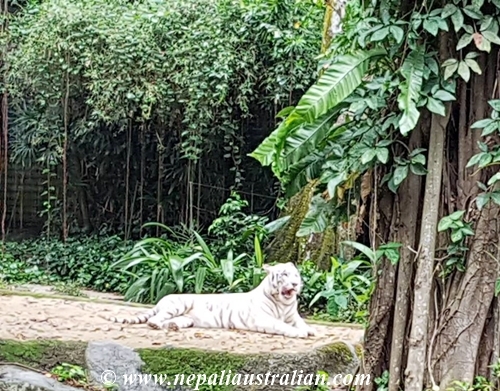 We caught a Grab Cab and arrived at the zoo around 10 am. 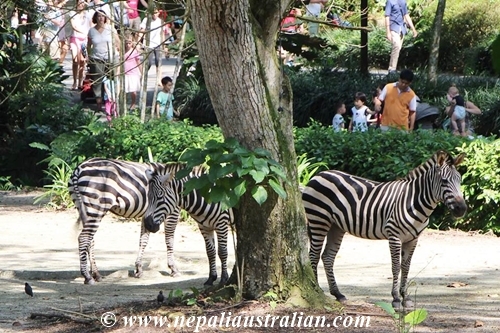 It was already packed with families with kids and bus full of tourists. We queued for tickets and got a map with and it looked really easy to navigate. 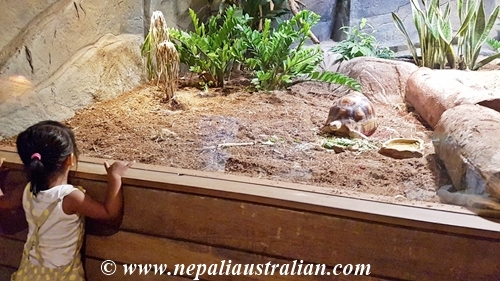 There are a number of zones located around the zoo: Frozen Tundra, Wild Africa, Fragile Forest, Australian Zone, Great Rift Valley of Ethiopia, Treetops Trail, Gibbon Island, Primate Kingdom, Reptile Garden, Tortoise Shell-ter and Tropical Crops & Orchid Garden. 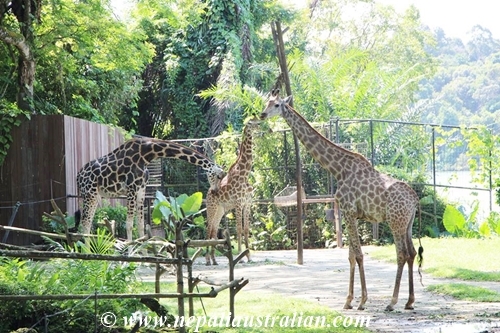 When we checked the timetable, we saw that there was a giraffe feeding soon so went and queued for the feeding. It took 30 minutes to get our turn but some for reason, the giraffe had decided to go away when it was being fed by the people before us. We waited for a while but the giraffe didn’t come back so they cancelled the feeding and we were so disappointed. I know we have no control over the animals’ behavior but I was so looking forward to do this one. 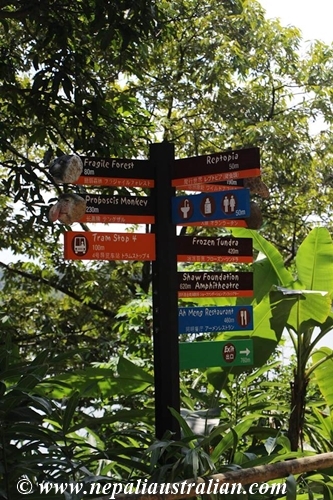 Anyway from there we explored the rest of the zoo. 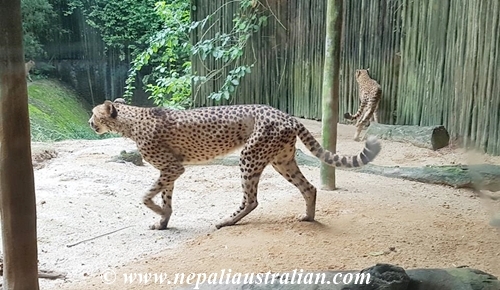 The zoo is an amazing place to spend the day and is designed to be easy to navigate so you get to see as many animals as you want. 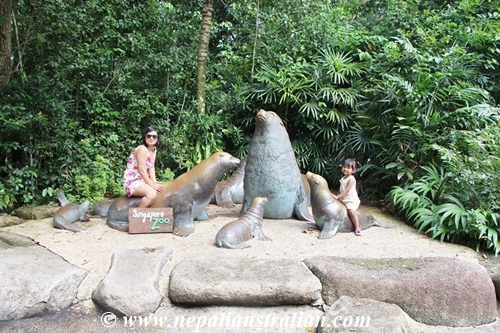 Chhori was so excited to see the polar bear, cute otter and orangutans jumping in the trees. 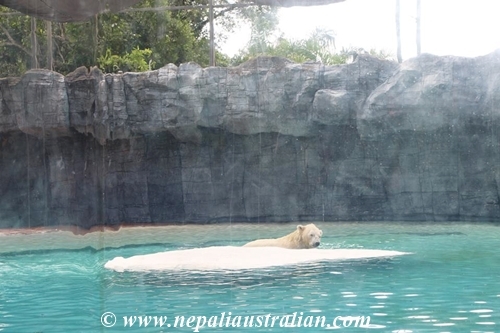 We also saw reptiles, pandas, dolphins and a white tiger. 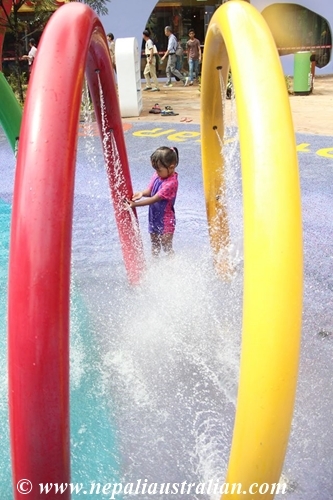 But the best part for Chhori was the waterpark in the Kidzworld and I have to say what a great idea. 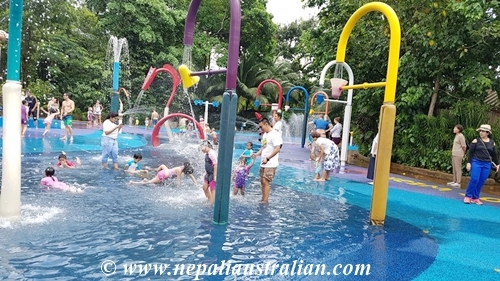 It was a hot and humid day and the waterpark was ideal for the kids to chill out in. We had packed her swimwear so she was super excited to play in the water. We spent more than an hour before we move on to another area. Chhori didn’t want to leave and wanted to stay longer but we were hungry. 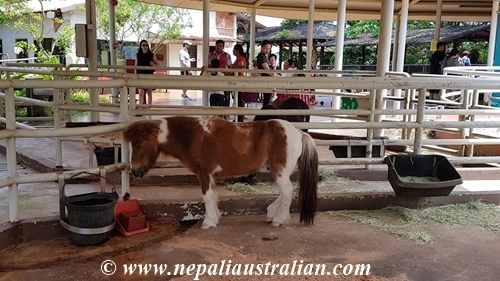 There is not many lunch option inside the zoo. 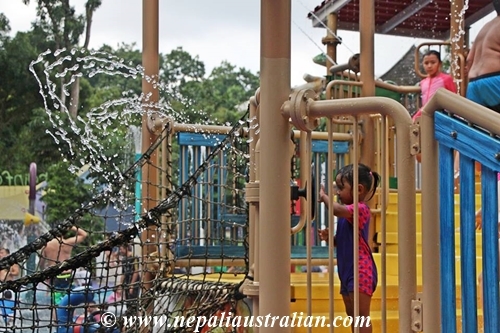 There is only one main restaurant located in the middle of the park and a KFC at Kidzworld. There are a few more outside. 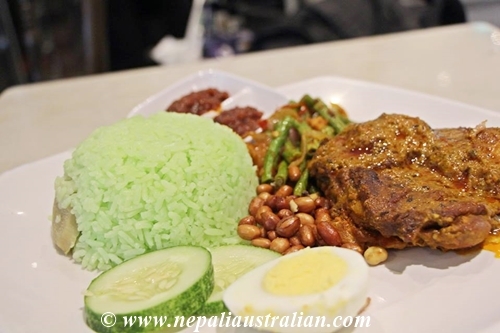 We went to the Ah Meng restaurant and they had various stations of food like Malay and Indian, I had Nasi Lemak and AS had roast chicken and rice while we bought nugget & chips for Chhori. The food was ok but it was really busy. 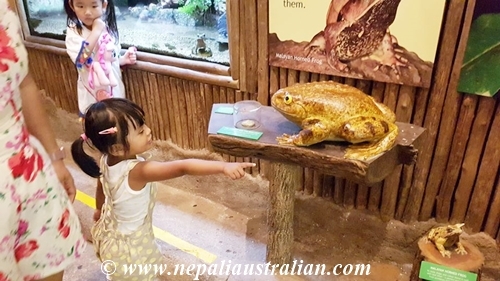 Overall we had a great time at the zoo and it was great fun for Chhori too. 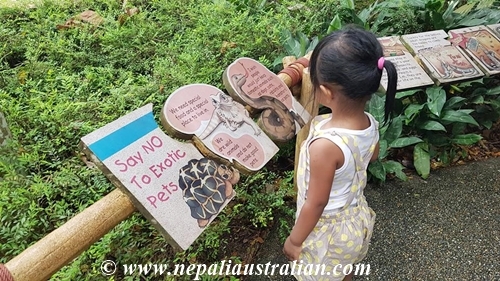 This entry was posted in Holidays, Singapore and tagged Australia, australian, australian nepali, Australian Zone, baby, chhori, christmas, Fragile Forest, Frozen Tundra, Gibbon Island, Great Rift Valley of Ethiopia, Holidays, M from nepaliaustralian, Nepal, Nepalese, Nepali, nepali australian, Nepali blog, Nepaliaustralian, Primate Kingdom, Reptile Garden, Tortoise Shell-ter, Treetops Trail, Tropical Crops & Orchid Garden, Wild Africa. Bookmark the permalink. Thank you so much Robin. Chhori is so curious and growing up fast. Thank you . It was a great trip. I’m so glad it was a great trip!